At Aviva, we believe that healthy hair is a crucial part of overall personal wellness. As the accessory you wear every day, your hair endures a lot. Each and every strand is consistently exposed to sun, sweat, pollution, and harsh chemicals from shampoos, conditioners, dyes, styling tools and other environmental factors. On top of that, we often don’t get the full amount of necessary nutrients for basic hair health and balance. THAT’S WHERE AVIVA COMES IN. 18 ESSENTIAL NUTRIENTS PLUS MINERALS NOURISH, GROW, PROTECT, STRENGTHEN, AND PREVENT. 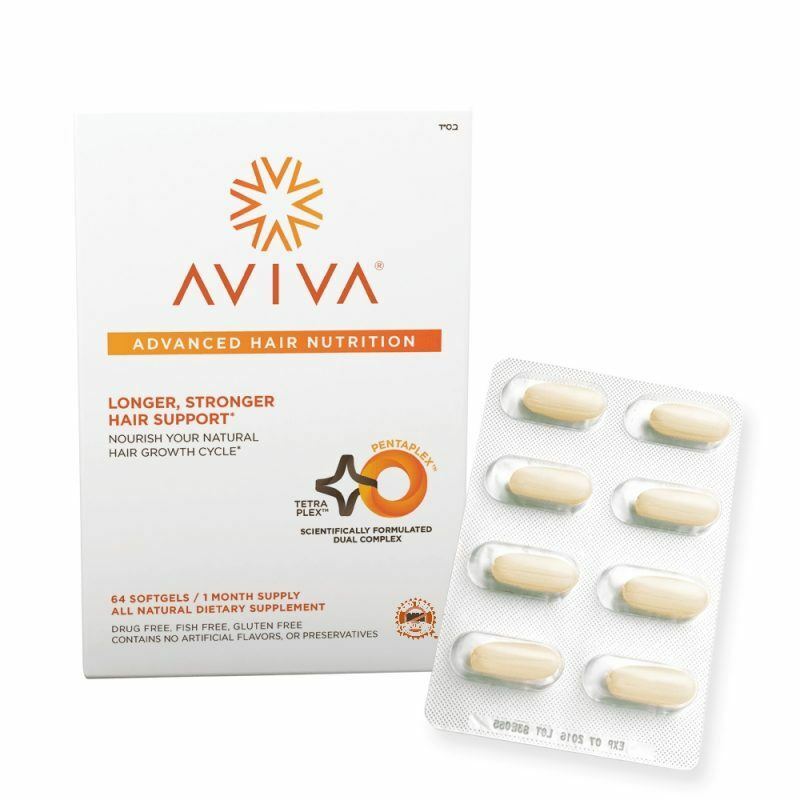 Aviva provides 18 essential nutrients that your hair needs like Biotin, Vitamin B5, Folic Acid, Iron, Zinc, and Selenium, Pumpkin Seed Oil, Ashwagandha, Silica, and Horsetail. Our exclusive, scientifically designed formula is GMO-free certified, designed formula is 100% drug free, fish free and gluten free. A blend of hand picked botanical and nutraceutical ingredients, our exclusive dual complex of Pentaplex and TetraPlex work with the natural hair growth cycle to provide the nutrients your hair needs to boost strength, build length and restore balance. Our daily supplements are easy to take, all natural and cruelty free to deliver the ultimate hair perk.